The final year of B.Tech is a stark contrast to the 3rd year when it comes to college life. The same batch who was everywhere until abuot a month back is nowhere to be seen, people are generally holed in their rooms. Seen mostly with their friends, either doing BC or studying. 4th year guys are almost cut off from the rest of the college just living in their own world. This is the time when people adapt an nonchalant attitude towards college life. You start talking about anything related to college and the standard answer you will get is, “Who cares man!”. It is basically the time of being zen! The whole period of fourth year since the end sem exams of 3rd year to the end of Batch Trip can be divided into 3 parts each of them quite different from the other. A time of changing moods and lifestyles. You tend to touch variety of emotions you havnt felt in the last 3 years. At times you have a face of character at other time you are without a fear or anxiety, you experience the state of being in dumps to being in a state of eternal bliss. It all happens just in a single year. After the masti of sem break begins a program of preparation 😐 Everybody is preparing for some or the other competitve exam, if one is going to MP every sunday to give the mock cat exams, then the other guy is seen rattofying his Baron’s Word List and a few have already started the preparation for Placements, while the PPO people have started to idle around with nothing to do. We have CAT, GRE, GATE and what not! the preparations all these things is packed into one sem. BUT by the end of the semester, all these competitive exam preps are given a finger and people start preparing for the real thing. The biggest show for every batch, the Placements. People would be seen hogging their computer screens for hours on end but not to watch any movie or for the 7th review of FRIENDS. Instead people are seen reading and not sites like “masalababes” or “http://cricinfo.com“, instead you have cracktheinterview.com, placementsindia like sites occupying the maximum no of tabs. This is the exact time for the dulles of the batch! After being ridiculed by friends for being dulle and not being able to get out of the college after 4th year, getting nicknames like Vision 2020 coz you are working under a certain prof, (in)famous for not giving his dual degree students their degrees. This is the time for them to hit back at the B.Tech guys. This time while a B.Tech guy would be trying to learn the fundes of OOPS or trying to understand the concepts of scheduling from the OS GODs like Manish 😛 (who got the PPO) , these SOBs are busy watching movies, TV shows and basically just have a gala time. Saying that the placement period was a Tempest, could be a big understatement!! These were historic times, you could find all emotions from excitement, uneasiness, depression, fear, hate, relief, sadness , joy in this 3-4 months commercial movie. These were hard times, Global recession coming on to hit the placements in the college. People were disappointed, hurt and all but all that is a thing of past. The biggest thing which placement season has done is brought people together, preparing an ideal ground for the Legendary BC of 8th sem! 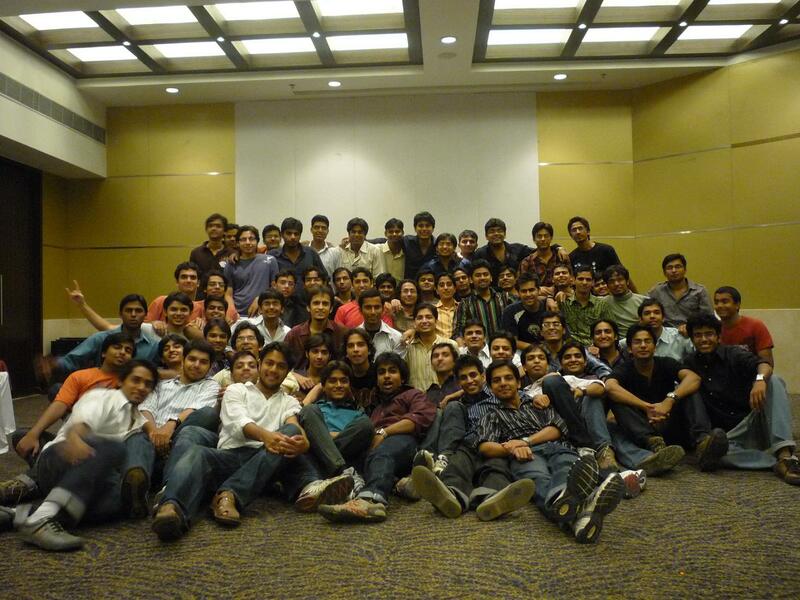 If 2nd sem was the beginning of group formations in our batch and Felicity brought these groups together, then 7th sem was the time when the boundaries of groups broke and the batch became a group as whole. People were going into the rooms hitherto unexplored. New friendships were developed, long forgotten friends became buddies again. And ofcourse placement was a great help, tested you, developed your personality blah blah blah… (everybody knows that). Placement time was a tumultous time, each one of us knew what and how it was 😐 and the less we talk about it the best it would be for everybody involved, it was just a phase we went through, a thing which we had to! Although liking it was beyond us, but it sure was an experience which you should have in your life atleast once, to know what pain, suffering , disappointment is! and to see how friendship acts as a beacon of hope, when the light is at its lowest. 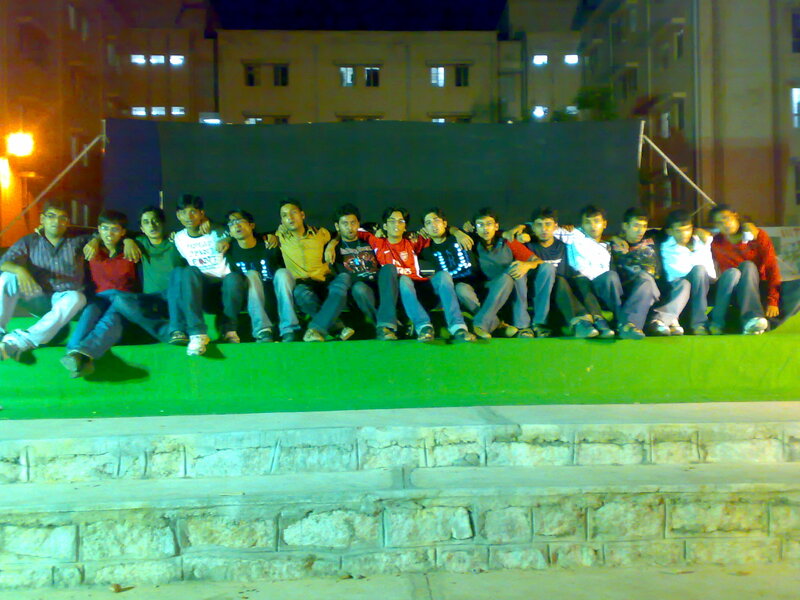 And yet once the placement is over, begins the BEST phase of college life, the phase of enjoyment, BC, BC n more BC!! About which I will talk about in the next post of the series, my Final of the series! Finally IIIT celebrated its first Bloggers’ Day and all I have to say in Congratulations IIIT for the awesome amount of blogging seen in IIIT on the day. Though I would have loved to see some blogging from UG2 & UG1, may be next time we can hope to see some activity from these guys. One post which celebrated the spirit of Bloggers’ day in real sense was this; where Vishnu Fafat rates the best posts of Bloggers’ day. Must read, I’ll say. 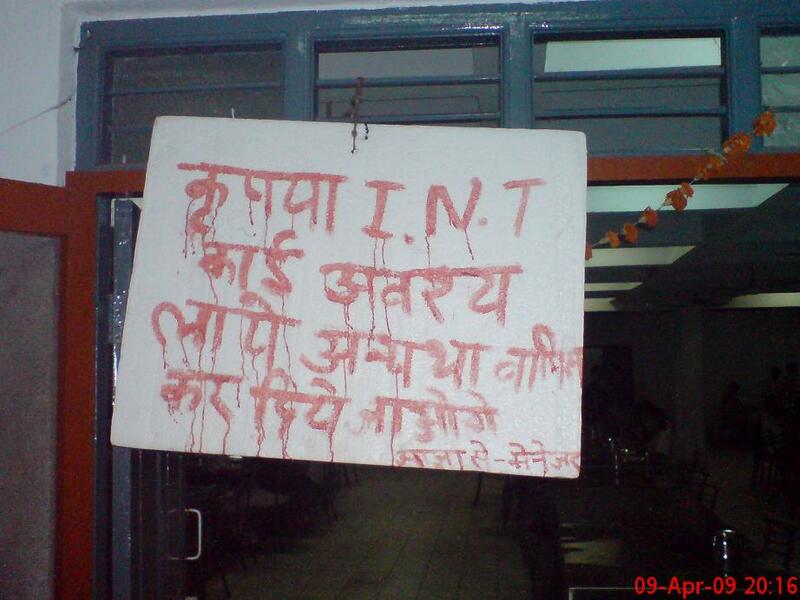 Due to the pathetic condition of net in hostels wasn’t able to publish this post till now. So now publishing it from MS.